Protestant song - first line reads: Awake, O ye Protestants/ timely awake. 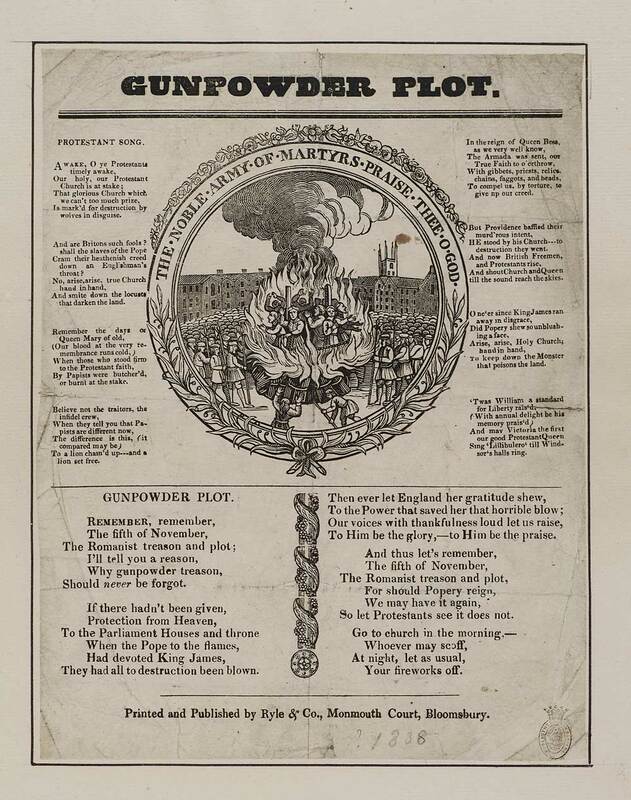 Gunpowder plot - first line reads: Remember, remember,/ The fifth of November. In two columns with a circular illustration between them.